The mid-size crossover SUV offers room, luxury and excellent road manners in an attractive package. Japanese luxury manufacturers seem to be competing against each other to see who can produce the most striking and technically advanced vehicles. In the midst of this competition, the 2019 Infiniti XQ60 stands out by not standing out. It is conservatively styled and comes with only one engine, a 3.5-liter V6 mated to a Continuously Variable Transmission. 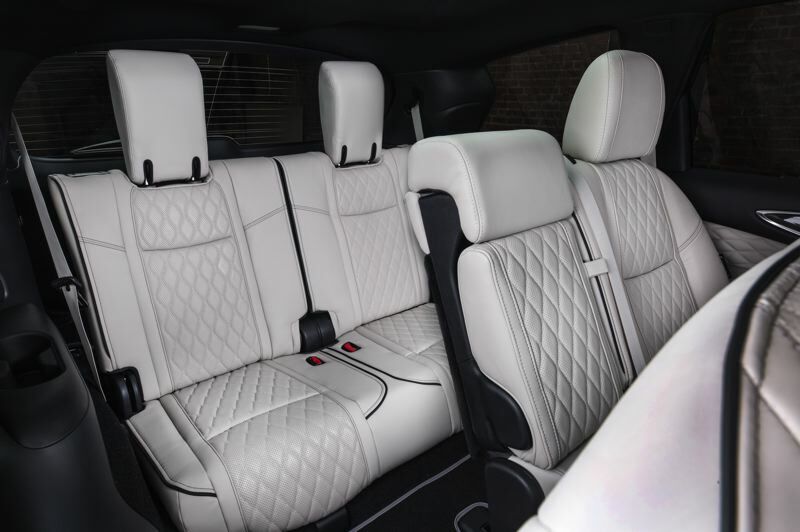 But it excels at its primary purposes — safely carrying up to seven people in comfort through bad conditions. Acura, Infiniti and Lexus are the luxury brands of Honda, Nissan and Toyota, respectively. They were first started to compete against American and European luxury manufacturers, a concept that seemed impossible until it wasn't. Now, after proving they can make high quality vehicles, the three companies seem to be trying to top each other with wild styling, advanced engines and innovative features. Huge grills, sharp exterior lines, turbocharged engines and increasingly complex infortainment systems are the order of the day. And then there is the Infiniti QX60, which just goes along taking care of business without calling undue attention to itself. This seems fitting because it is closely related to the middle-of-the-road Nissan Pathfinder. Both are excellent examples of the current version of semi-large crosover SUVs. They are no longer based on trucks but constructed like cars, making them much easier to drive under all conditions. They may not be quite as rugged off-road, but they handle rough pavement and crowded dontowns much better their predecessors. There are only a few changes between the 2018 and 2019 QX60, which seems appprporiate. Infiniti knows better than to tamper with a good thing just for the sake of doing it. The new model is still incredibly quiet, with a smooth ride and good accelerations from its powerful — but not overwhelming— 295-horsepwoer engine. 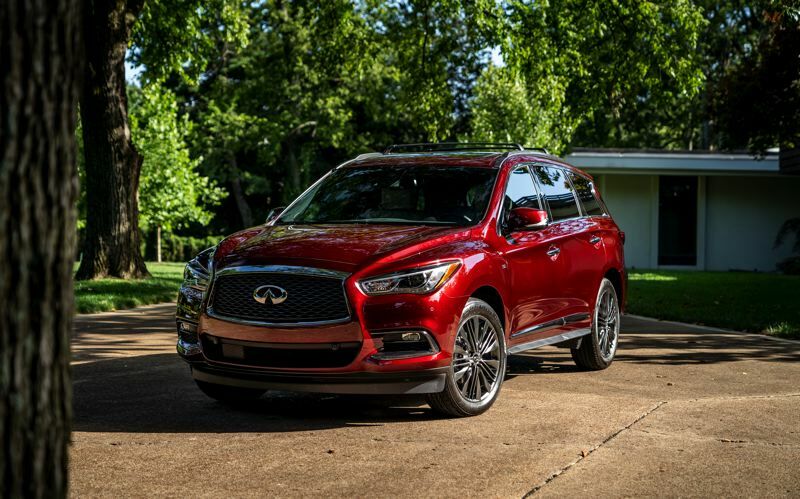 What drivers mostly notice is, well, nothing at all because the 2019 Infiniti QX60 is so competent at everything it does. There are no distractions, once the climate and other control systems are figured out. 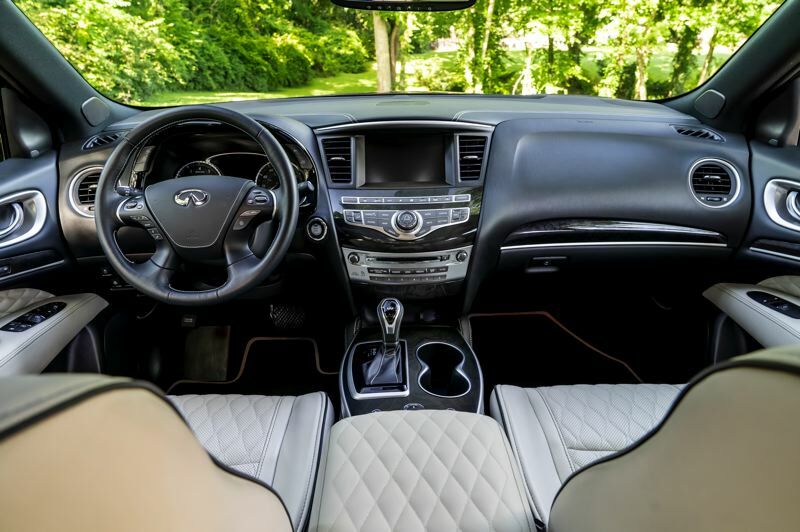 Infiniti makes the QX60 relatively easy to get into by starting the prices at just under $45,000 for the well-equipped based Pure model, which is available with all-wheel-drive for less than $2,000 more. 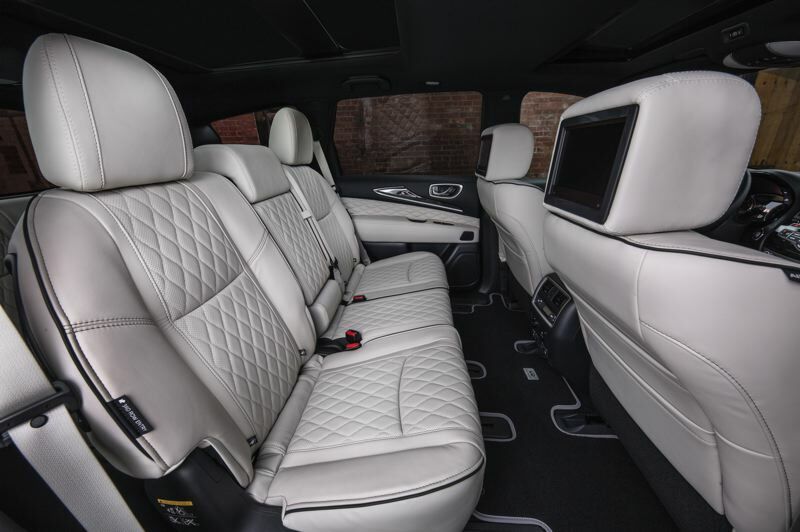 Naturally, our test vehilce was a top-of-the-line Luxe version with five option packages that added A whopping $20,000 to the price. Additional features like the Blind Spot Intervention with the Proactive Package increased safety and the upgraded stereo with the Sensory Package made daily driving nicer, but most buyers can probably live without the Theater Package (unless they take a lot of long trips with children) and the tufted upholstery that came with the Limited Package. Although I usually recommend AWD for anyone living in the wet Pacific Northwest, our test QX60 was a front-wheel-drive version with adjustable drive modes that include Snow in addition to Eco, Standard and Sport. I didn't have a chance to check out how well it handles the white stuff, but there were no traction problems during the windy rainstorms that blew through the region. Familes looking for handsome, comfortable and well-built transportation should definately put the 2019 Infiniti QX60 near the top of their shopping list. It may be as flashy as some competitors, but it is sold choice in the increasingly crowded midsize crossover SUV market.